Come out to BIBLE STUDY TACO MONDAY’S! At Principles of Faith Christian Center. Free Tacos, Great Fellowship! Beginning at 6:30pm. 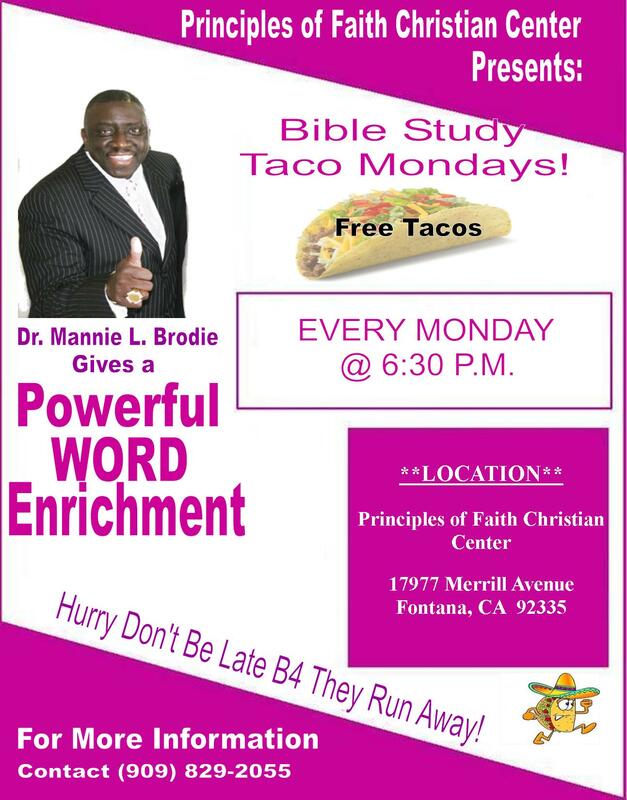 Come hear good Word from Dr. Mannie L. Brodie and then come eat and fellowship afterwards. Hallelujah!